Reality is getting complicated. Don’t like the world around you? Today’s technology lets you pick a different one. Virtual reality was everywhere at last week’s South by Southwest Conference in Austin, TX. I tried several different VR systems, and they rarely resembled “reality.” Most put you inside a cartoon-like game world. Fun, but not The Matrix. NASA’s VR demo took visitors to Mars, standing next to the Curiosity Rover. That was cool too, but still nothing like the reality we normally inhabit. One VR experience I had was very different, though. You could even call it mind-blowing… almost literally. SXSW blends science, technology, business, film, music, and other assorted fields, and I go every year because it helps me get a new perspective on the world. I always stumble on useful insights I wouldn’t get elsewhere. This time, I discovered a possible VR breakthrough by accident. As I walked from one session to another, my phone buzzed with a text message from my wife. I stopped to reply, vaguely noticing an exhibitor space with the usual posters and big video screens off to one side. After I finished texting, I took a second look. The sign said “VR Chat”—that was new to me, so I asked how it worked. Realizing their technology could also have G-rated uses, they were at SXSW seeking corporate partners. He asked if I would like a demo. “Sure,” I said… and that’s when it got weird. They had me sit in a nice, plush armchair and helped me put on a VR visor and a headset with microphone. Okay, I thought, so a VR chat is probably like a Skype video call, just bigger. Only that it was nothing at all like Skype. When the visor came on, I was suddenly sitting in a small, ordinary living room. A real-life living room, not CGI as in the demos I’d seen before. A young woman (also very much not CGI) dressed in shorts and a sweatshirt stood in front of me. “Hi,” I replied. It really felt like I was in the room with her. We chatted for a minute. Then I realized that when I turned my head, I had a full 360-degree view of the room. I could look up at the ceiling and down at the carpet. I was there—at least visually. When I looked forward again, I noticed that the woman had moved closer to me. In fact, she was on her knees in front of my chair. It was bizarre: I knew she wasn’t physically there. She couldn’t touch me, but I would have sworn I could feel her hands on my legs. It was that real. I didn’t know how far this would go—nor did I want to find out—so I pulled off the visor and thanked them. Then I rushed to the nearest fountain for some cold water. Unlike the previous VR demos I’d seen, the reality I visited from that chair didn’t feel “virtual” at all. My brain processed it as a real, physical presence. It made my body react as if I were there and even filled in gaps, like the hands my other senses said were touching me. A college professor could deliver a lecture to thousands of students at once, all “sitting” in one small classroom. Concert promoters could sell an unlimited number of front-row virtual seats. A surgeon could bring a far-away specialist into the operating room for consultation. Those are just my quick ideas. You can probably think of others. VR chat does have limitations (at least for now). For one, you can’t move around in the remote space—though I suspect you could mount a VR camera on a drone and then be mobile. It’s also one-way. While I could see the woman, all she saw was a camera. She had enough acting skill to make it seem natural from my viewpoint. Also, the VR visitor can’t touch anything. I had no hands or feet in the remote space. Nonetheless, this technology exists now. We don’t need whole new worlds for VR to be useful. It can show us the world we already have, minus the limitations of physical distance. It’s no surprise the adult entertainment industry is leading the way. The same happened back in the 1980s with video cassettes. Customers buying or renting adult movies to watch at home were the early adopters who helped bring the technology mainstream. 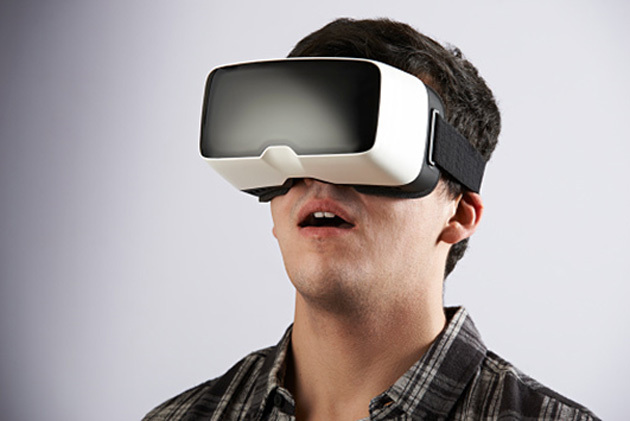 Another SXSW exhibitor was Oculus, the VR company Facebook bought for $2 billion back in 2014. I recall thinking at the time that Mark Zuckerberg was crazy to pay so much. I was wrong. Oculus was a bargain, and he knew it. I used an Oculus Rift headset to watch a 10-minute documentary about a Mexican fishing village. The scenery was beautiful, especially the underwater shots, but I felt the experience lacked something. It was hard to focus on anything when I didn’t know which direction to look. 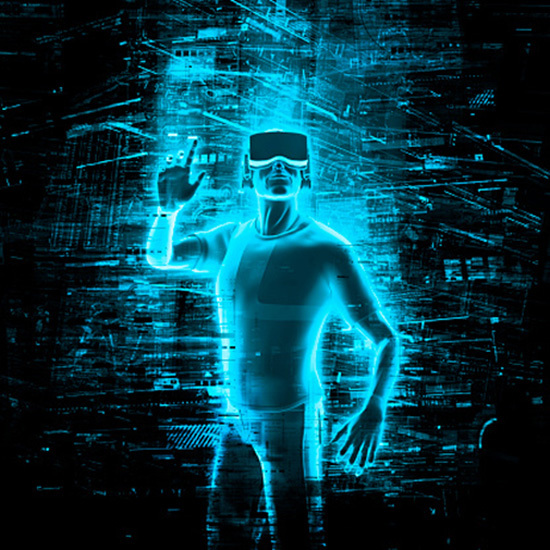 For the moment, VR technology appears to have outpaced the ability to produce good VR content. That will certainly change—but I don’t think Mark Zuckerberg cares. He has a different goal. Facebook is all about connecting people to each other. In-person connections are always the strongest. At some point—maybe soon—I think we’ll see a VR chat function built into Facebook. Zuckerberg will supply the connection, and we will supply the content, just by talking to each other remotely, but “face to face.” The cameras and headsets will be expensive at first, but as with every new technology, prices will drop over time. Every technology needs a “killer app” that makes it indispensable. With personal computers, it was the spreadsheet. Facebook itself was arguably the smartphone’s killer app, along with Twitter. Will Facebook now do the same for virtual reality? I’m sure the technology will keep improving. Artificial Intelligence systems will build fictional environments we can visit with our far-off friends and relatives. We might even be able to go on virtual vacations together. If you think we’re in a “post-truth” world now, just wait. The difference between truth and fiction is already blurry on Facebook. Imagine when we can immerse ourselves in entire new worlds that may or may not be real. I believe VR will change daily life as much as the smartphone has, if not more. It won’t be all good, either—but it’s going to happen, and nothing we can do will stop it. For now, no one knows how that new world will work. We’re going to find out soon.